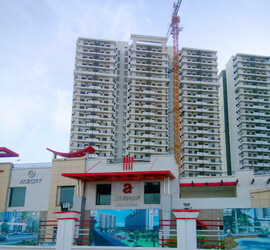 Ace City situated at Noida extension presents ready to move 2 bhk apartments. Its apartments are the example for other developments in the nearby zone. This housing has brilliant design and architecture with lush green surrounding. It fulfills all the requirement of home buyers. Apartment Size: 1090 sqft sq. ft.